Contemporary 4 Star Hotel with Leisure Facilities Free Car Parking and Broadband. 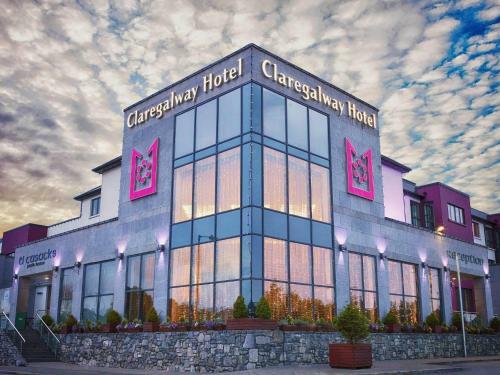 Located opposite the race course in close proximity to Galway City & just 2km from Galway Airport this hotel is ideally located for both weekend getaways and business events. The hotel features 200 elegant bright and airy rooms with fabulous fixtures and fittings. Pillow topped mattresses plasma screens rainforest showers and under floor heating all come as standard. For that little bit more upgrade to our exclusive executive floor with 14 executive rooms each with their own separate living area king sized beds and under-floor heated marble bathroom. With a choice of dining options Restaurant for fine dining and sumptuous cuisine and bar for a more casual dining experience The Clayton has so much to offer visitors to Galway. At the Clayton Hotel service and quality is paramount where it is delivered to our guests with exemplary precision wrapped in our distinctive friendliness and the highest levels of personal attention. St. Judes Lodge is one of the premier B&Bs in Galway offering high quality accommodation at excellent prices. Situated in the centre of Galway City we offer better access to the city than many of the hotels at the value of a traditional bed and breakfast. Located on College Road on the Dublin side of Galway City we are only a couple of minutes walk from the tourist office and the recently renovated Eyre Square. The city s attactions are literally on your doorstep. The greyhound race track is across the road whilst the pubs caf?s shops cinemas and even the ten pin bowling alley are readily accessable on foot. As we have extensive parking both front and back of the residence we are happy to welcome larger parties and bus tours. Charming B&B located in the heart of Galway city beside shops, pubs, restaurants, university, hospital, bus and train stations etc! Beautiful rustic cottage with panoramic sea views overlooking Galway Bay in the West of Ireland. We are located just outside the picturesque little fihing village of Kinvara. We are central to the Burren, Cliffs of Moher, Aillwee caves,& the Aran Islands. 5 minutes walk from city centre. Achill Lodge is an **** Rated B@B. It is a Bord Failte award winner in 2005/06. It is a newly constructed purpose built guesthouse overlooking Galway Bay. It has the highest standard of comfort for our guests. All rooms and en-suites are spacious. Ross Lake House Hotel in Galway is a splendid 19th Century Georgian House. Built in 1850 this charming Galway hotel is formerly an estate house of the landed gentry who prized it for its serenity. Set amidst rambling woods and rolling lawns it is truly a haven of peace and tranquillity. Echoes of gracious living are carried throughout the house from the elegant drawing room to the cosy library bar and intimate dining room. Tranquil walks through the untamed Connemara countryside beautiful unspoilt beaches championship golf courses excellent game and coarse fishing are all available nearby to our guests. The Tullaleagan Guesthouse, is situated idyllically on the hills bordering the Lough Corrib. With it's breathtaking views of the Corrib and the Connemara landscape, Tullaleagan Guesthouse offers it's visitors a taste of the beautiful western countryside. Claregalway Hotel is situated just outside of Galway in Claregalway village. It has a restaurant a leisure centre with a gym and pool and spacious air-conditioned rooms. The cosy rooms at Claregalway Hotel all feature a plasma-screen TV and en suite bathrooms with power showers. Free WiFi is available in the hotel. The Local Bar has a large HD 3D TV showing live sport . T? Cusacks Bar has live entertainment every Friday and Saturday. The leisure centre has a steam room and sauna. 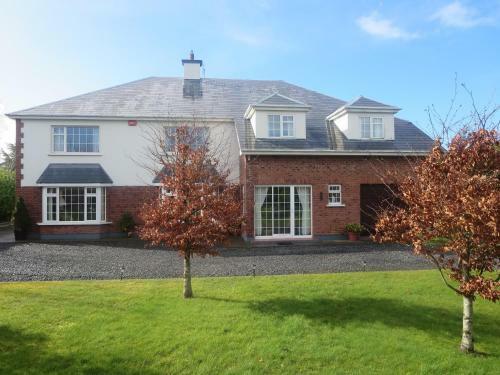 Situated on the N17 road just 15 minutes drive from Galway city centre. Galway has a vibrant arts and music scene. Water sports fishing and pony trekking are all available at nearby beaches. Connemara on the West coast can be reached in 90 minutes by car. Welcome to the Four Seasons B&B! If you are looking for traditional Irish hospitality and quality of service at an affordable price then look no further than the Four Seasons. br / br / This B&B recommended by Rick Steves and Lonely Planet and has been awarded the TripAdvisor Certificate of Excellence for six consecutive years running. br / br / br / br / The Four Seasons B&B is located on College Road on the Dublin side of Galway just a 5 minute walk to Eyre Square and the Bus/Train stations. The location is also perfect for rugby supporters and greyhound racing fans alike with both the Connacht Rugby Stadium and the Greyhound Race Track a mere 30 second walk away! br / br / br / br / Featuring free WiFi throughout the property Four Seasons B&B offers accommodation in Galway. Free private parking is available on site. Every room includes a flat-screen TV. You will find a kettle in the room. Rooms include a private bathroom. You will find a shared lounge at the property. Galway Greyhound Stadium is 200 metres from Four Seasons B& B while Eyre Square is 700 metres from the property. The nearest airport is Shannon Airport 65 km from Four Seasons B&B. The Waterfront House Country Home offers superb accommodation central to an area from the Cliffs of Moher to the Aran Islands and Connemara to Westport. In an area of astounding beauty you can enjoy walking golfing angling relaxing touring sight-seeing swimming. The Waterfront House Country Home sits nestled right on the shores of the world-famous fishing grounds - Lough Corrib surrounded by the Hills of Connemara just a short stroll along a winding country lane from Aughnanure Castle and the lovely Oughterard 18 hole Parkland golf course in the heart of the Irish countryside. 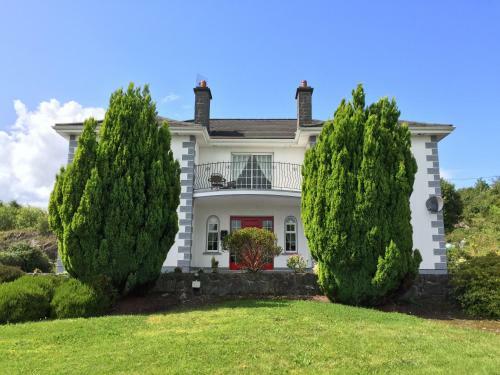 The Waterfront House Country Home was designed and built to suit the needs of guests looking for that memorable overnight stay and with over thirty years experience in the business Mary and Tom Walsh have come to know exactly what the visitor expects. All rooms have private en suite with thermostatically controlled power-showers complimentary toiletries and hairdryer. All rooms also are equipped with flat-screen HD TVs where you can watch multi-channel Satellite and Terrestrial TV channels and listen to lots of radio channels. All our bedrooms are non-smoking and are fitted with a smoke detecting system. The house has central heating throughout which is thermostatically controlled. Relax in our very comfortable and spacious sitting room with its large open fireplace and spectacular view over Lough Corrib. There are lots of historical places of interest to visit and so much to see and do for all the family - all within a short drive of the Waterfront House Country Home. You won t be disappointed! If walking is your pleasure then there are numerous routes to choose from in the surrounding area. There are lakeside forest hill mountain bog and riverbank walks with breathtaking views of an awesomely beautiful landscape. Long or short walks there s a walk to suit most people. The award winning 4 Menlo Park Hotel & Conference Centre is a stylish & elegant property situated near the heart of Galway City. The emphasis at the Menlo Park is on offering the very best of modern facilities along with old fashioned hospitality where our guests will be given a cordial welcome and an uncompromised level of service. At the Menlo Park Hotel all of our 70 bedrooms are beautifully appointed and attractively designed with rich colour schemes - plus all of the usual facilities one would expect in a modern hotel of this standard. All rooms come with Double bed as standard and crisp white linens and duvets. We have luxury Superior rooms which feature king size bed flat-screen television robes slippers bottled water and fruit as standard. The Oliver & McGlynn Restaurant serves quality contemporary cuisine and MP s Bar has food served daily until 9pm including carvery lunch. Every Friday and Saturday night Bar Beoga provides live music and our Hotel has ample complimentary car parking daily newspapers and free Wi-Fi throughout. With conference facilities for 2 - 350 and a dedicated personal Weddings team the Menlo Park Hotel has a range of leisure and function breaks on offer and prides itself on being a home away from home . The contemporary Harbour Hotel is ideally located on Galway s Waterfront and is only a short stroll from the shops and cafes of Quay Street and Eyre Square. A haven of calm this 96 bedroom hotel is renowned for its friendly professional service and the inviting interior is a mix of open plan European styling warm colours and original art For dining Krusoes Restaurant is dedicated to delivering the best of seasonal Irish produce with superb service at great prices and the hotel s K Bar is the perfect place to chill out meet friends and soak up the atmosphere. The perfect setting for every occasion The Harbour Hotel can facilitate meetings and events for up to 100 attendees. From corporate meetings to celebrations each client is given the highest level of personal attention by our Events team. So come visit The Harbour Hotel Galway and let the palpable charm and character of this vibrant city capture your heart forever. Luxurious apartments in the the beautiful sea side resort of Salthill just 1.5 km from Galway City. These apartments offer all the luxury of a hotel room but with your own fully equipped kitchen and living area . On your doorstep you will find a large choice of restaurants and local pubs together with a good choice of convenience shops. The apartment complex is situated beside the longest promenade in Europe. You have a choice of one bed two bed( with two double rooms or one double and one twin room) or penthouse apartments. The apartments sleep four comfortable however we can put in extra guest beds if required to sleep up to six. Wi Fi is available in all apartments together with a underground car park and lift access to all apartments. Flannery s Hotel is long established in Galway City as a hotel offering comfort & style within relaxed surroundings making it an excellent choice for the business traveller or leisure guest alike. All rooms are tastefully decorated and equipped with modern 3 star features such as en-suite facilities direct dial telephone multi channel television tea/coffee making facilities hairdryer and free WiFi throughout the hotel. Award winning Galwegians Restaurant offers guests a selection of dishes all cooked with flair in the kitchen where each menu is accompanied by a range of freshly prepared home grown vegetables and complimented by a vast selection of fine wines. Guests can relax and unwind in our recently renovated bar or lobby which are both popular with locals and hotel guests bar food served daily & nightly entertainment at the weekends. Flannery s Hotel is ideally located in Galway and the West of Ireland which represents the very best of choice to those whose appreciate and revel in the fun and adventure of life outdoors. The Connacht Hotel is a popular Galway hotel located on the main Dublin road as you enter Galway City Centre and 7 minutes walk from Eyre Square. The hotel has a great advantage of extensive free parking and a regular bus route close by with direct access to the city centre. Only 15 minutes drive from Galway Airport and 7 minutes walk from Galway Train Station. A choice of accommodation ensures that there is something to suit everyone. Recently refurbished guest bedrooms are comfortably designed with all amenities available. Double Twin Triple Family rooms and Suites and a range of apartments give the customer a great choice of accommodation. All rooms feature tea/coffee making facilities safety box free Wi-Fi hairdryer and telephone. A large hotel bar & cocktail lounge offers a bright and spacious area that is perfect for midmorning tea & scones lunch & evening dining. The cocktail bar enhances the holiday spirit in the hotel with regular evening live music and a range of wonderful cocktails from the in-house mixologist. Rueben s restaurant provides a relaxed casual dining experience. Located off the spacious hotel foyer is a selection of meeting rooms equipped with all required amenities to ensure a productive outcome. Active 24 Leisure & Fitness offers a wide range of activities for visitors 20m indoor pool & kids pool sauna steam room jacuzzi two workout studios and extensive gym & changing facilities. Wi-Fi is provided throughout the hotel and is easily accessed and unlimited. Friendly Fellows Kids Club is on site at weekends and school holidays and is a popular attraction for the younger guests from 3 15 years. Local attractions like Galway Atlantaquaria. Turow Pet Farm and Brigit s Garden are some of the activities you can do with your family. During race week 25th-31st July 2016 the cancellation policy will be 7 days. Jurys Inn is perfectly located in the heart of the city on Galway s Quay Street with a host of bars and restaurants on its doorstep. Overlooking the historic Spanish Arch and Galway Bay Jurys Inn Galway is within short walking distance of the city s commercial and shopping districts. Free WiFi available throughout the hotel. Abbey Lodge is a hospitable bed and breakfast in the centre of Galway City. Located beside the greyhound race track and across the road from the picturesque Lough Atalia we are not five minutes walk from Eyre Square the heart of Galway City. The city s many attractions are at on your door step. From the recently renovated Eyre Square down the charming shopping districts to the historic churches and cathedral Galway is welcoming and friendly. With a plethora of bars cafes and restaurants Galway is renowned for its relaxed atmosphere and lively night life. A mere 15 minute walk is Salthill Promenade and beaches but further afield there are numerous day trips to the Burren and Aran Islands allowing you to experience the beauty of Clare and Connemara at your leisure. The majority of these trips leave from the tourist office at the end of College Road just two minutes from our front door. 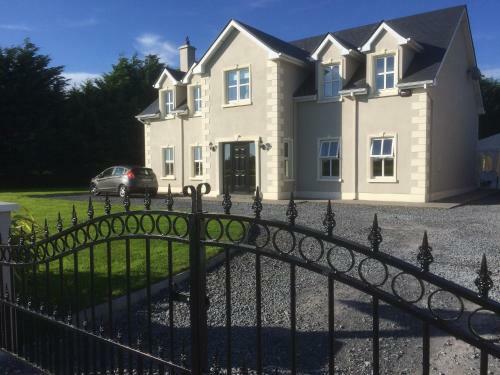 Carraig Villa is set in lovely grounds 10 minutes’ drive from the centre of Galway. This bed and breakfast offers pleasant rooms and opens onto a patio area. Featuring free WiFi throughout the property, Fox B&B offers accommodation in Galway, 4.4 km from Galway Irish Crystal Heritage Centre. Free private parking is available on site. All rooms at Fox B&B have an en suite bathroom. Offering a terrace and views of the lake, The Lodge B and B is situated in Galway. Free private parking is available on site. All rooms are fitted with a flat-screen TV and have soundproofing. You will find a kettle in the room.